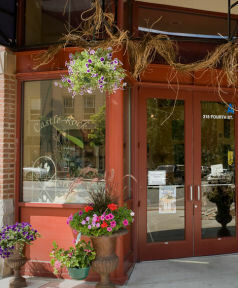 Castle Rock Florist is located in the historic downtown district of Castle Rock, CO and was originally established in 1968. Current owner and head designer, Denise Fuller, CPF and past President of the Floral Association of the Rockies, has a life-long passion for the floral business. CRF has been voted Best Florist of Douglas County from 2006 - 2010. Castle Rock Florist is an established professional florist. Our 100% Satisfaction Guarantee is our commitment to creating long term relationships with our customers. Castle Rock Florist provides customers with quality, long-lasting flowers, unique designs, and stellar customer service. We deliver locally and can also arrange for delivery nationwide. We also carry unique gift items and a large selection of greeting cards in our beautiful shop, so come on in and browse around when you have the time. Or enjoy the convenience of safe and secure online ordering 24 hours a day.